This is a series of wonderful, happy women with big and/or curly hair. All of my ladies are confident and happy with who they are. They walk the earth with a happy tread. These paintings were created on my iPad using an app called Paper by 53. 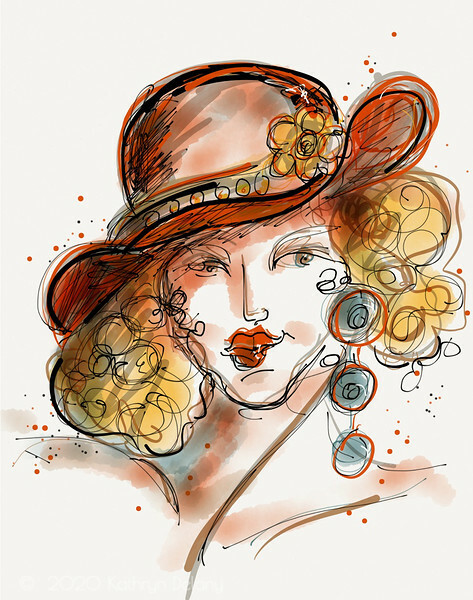 This beautiful blonde woman with the curly hair and stylish Red Hat was inspired by my sister who had done a similar sketch while I was visiting with her. I loved her drawing and really wanted pay tribute to my sister’s style.